Don't you just love the alphabet? To see more work from these excellent photographers, click the individual links. N by Leo Reynolds. Newspaper by Pensiero. Necklace & Necktie by Buckaroo Kid. Nile by syzygy in. To find out more about the Alphabetica project, see the sidebar. To see the entire project so far, click the Alphabetica label at the end of this post. this is a wonder filled project ~i could never think of all those words that start with N...but you went over the top...my favorite...my weakness...Nutella! nest filled with baby robins. lovely letters, the alphabet makes. so glad to have you back...missed ya. oh i sure have missed you. how about nimcompoop? my mom used to jokingly call me that. You have such a great way of picking out images. They always go together so beautifully. Good eye! I think these would make a great set of blank greeting cards or a cool coffee table book. I hope you're planning on doing something with all this! NICE MATTERS....is the BEST one !!! Naturally! And I'm going on a tour of sites along the Nile. Nurturing. I am definitely "neglecting my chores to play"! Have a nifty, neat weekend!! i know i had seen it before—can't remember how i came upon it, but i had not been back since. i'm glad you left a comment on Jorjah-B so that i could re-discover it. love the music! thanks for stopping by mine and for your thoughtful comment. Eating Nutella while neglecting chores to play is the best, n'est-ce pas? I love your alphabets series. My n word is newlywed as I just went to a bridal shower for my cousin's fiance. She is Romanian and baffled by our American customs. Lovely exercise. . . this is such a fun game and you do it soooo well! Hi Relyn~ So glad you are back!!! Lucky lucky lucky to be on break! 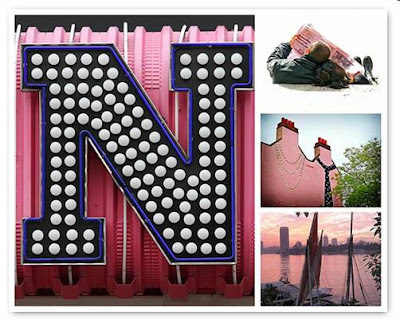 We're still 9 days out from the end so my "N" is ...neverending- or at least that's how the year feels right now. Thanks so much for all the post comments- it's such a treat to hear from you! What plans do you have for the summer? Oh, I am so silly. I previewed my comment & then forgot to post it. NO brains! :) But I will say this again - that you are like a conductor, leading us all in a symphony of words, and it is fun, fun to read these posts, and fun, fun to read the comments. I love it. And it's the first letter of my last name, too. I was going to say "n" is for "nutella" but you thought of that. It's my favorite afternoon treat with an apple and cup of tea! Yes...Novalee Nation!! I love Where The Heart Is!! Love it, love it, love it! This is so neat. I didn't know this project existed! Nutella is yummy brings back so many childhood memories from corner candy store in Puerto Rico. Awesome Post! Such a novelty, your list! what a wonderful exercise --Nifty! oh...Nile river...this is for me ! i have had fun here today catching up with you. I do love it! And I love your "n"s too! Your lists bring me so much bliss! My fav...nesting instinct. Not sure why...I just like that one. I haven't had Nutella in ages! Now I want to pick me up a jar. And some soft bread cut in thick slices, and slather the stuff all over it and eat like a child. always love the alphabet posts! my favourites nebula narwhal and nougat. I love this game you play, Relyn :) It's fun to exercise your noggin thinking of wonderful things that start with a certain letter! So fun! Well, I don't buy Nutella unless My French Babies are here (my niece and nephew) but now I'm going to have to try it with apple (in the afternoon with tea!). Love your lists, Relyn! How 'bout New York Nanosecond!